Jeanne Evelyn Lodermeier was called home on February 2, 2019 at Regina Senior Living in Hastings, MN. Jeanne was born to Ed and Mayme (Diercks) Boxrud on February 11, 1933 in Red Wing. Jeanne grew up around Goodhue and graduated Goodhue High School in 1950. She started training as a lab technician at Mayo in Rochester and transferred to the lab at St. Mary’s Hospital. In 1954, she started working for Dr. Giest as a receptionist, lab tech. and x-ray tech. On January 29, 1955 Jeanne married the love of her life, Norbert Lodermeier in Goodhue. Goodhue is where Norb and Jeanne lived and raised their 5 children. Jeanne stayed home with the children until 1970 when she started driving school bus for the Goodhue schools. They moved to Lake City in 1990. Jeanne worked from 1975 to 1995 for the Interstate Medical Clinic as a data processor. She retired in 1995. Jeanne enjoyed bowling, traveling, quilting, playing cards, reading and volunteering. 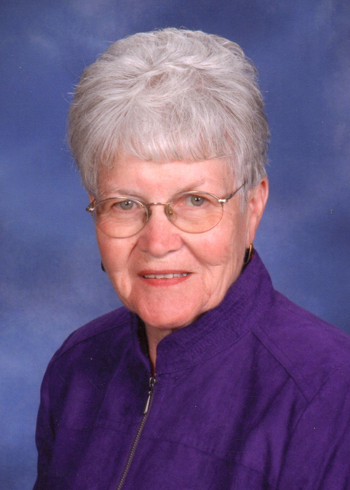 She was a member of the Mayo Clinic Health System Hospital Auxiliary in Lake City and the Goodhue Lioness Club, was a hospice volunteer, and was involved with St. Mary’s Mission Group. She was preceded in death by her parents; 6 brothers, Robert, John, Milferd “Mip”, David, Edward, and James Boxrud; 2 sisters, Janice Schultz and Dorothy Boxrud; husband, Norbert; infant son, Joseph; and 2 grandsons, Jeremy and Brady. She is survived by 5 children, Sam (Reeva) of Lake City, Jacqueline (Paul) Deters of Eitzen, James (Jackie) of Wabasha, Timothy (Karen) of Alma, WI, and Mark (Jean) of Welch; 9 grandchildren, Scott, Carrie, Amanda, Emily, Shannon, Joseph, Antony, Nathaniel, and Ridge; 6 great grandchildren; and other relatives and friends. Visitation will be held on Thursday, February 7, 2019 from 9:30 am to 11 am, with a funeral mass at 11 am, at Holy Trinity Catholic Church in Goodhue. 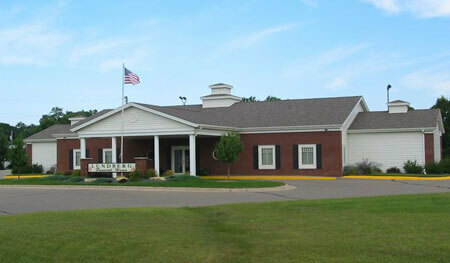 A luncheon will be held at the Goodhue Community Center after the service. A private burial will be held at a later date. Jeanne resided at Regina Senior Living in Hastings for 3 ½ years with a wonderful staff that looked after her and loved her like their own. The family would like memorials to go to Regina Memorial Fund.